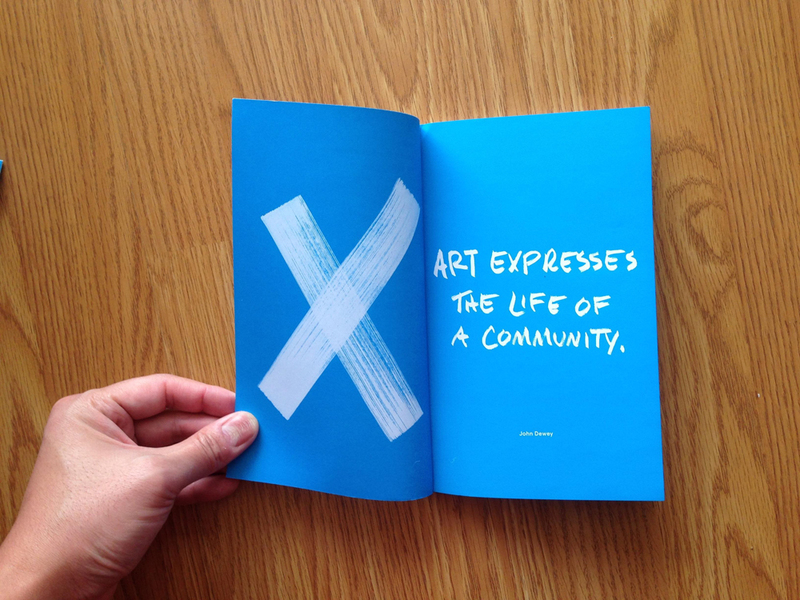 The Facebook Artist in Residence program brings in a diverse range of artists to work on campus alongside employees as a means to energize, inspire, and challenge the community. We value the contagious nature of creative production and the connection made when witnessing a work in progress. Bringing in relevant art projects to the campus reinforces our ideal work environment and encourages original thinking. 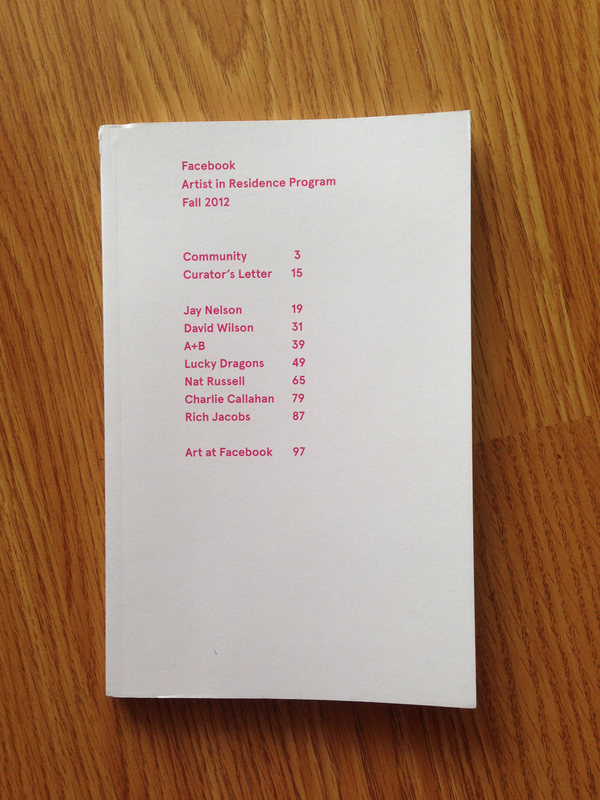 The catalog is a documentation of our first group of artists.